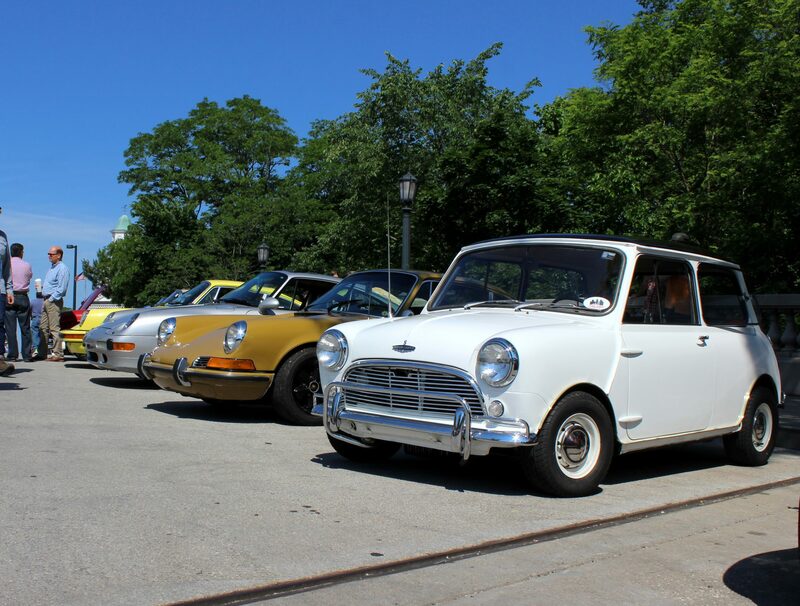 The Bring A Trailer Effect | Chicago Car Club - The Nation's premier buyer of classic cars! That’s right, it’s time to tackle what is undoubtedly the hottest topic in the automotive hobby at the moment, Bring A Trailer and its implications for the classic and collectible vehicle market. It wasn’t long ago, only ten years or so, that BaT was a low-rent webpage who garnered a small but loyal following posting links to interesting or competitively-priced Craigslist finds. The core focus was older European cars in various states of disrepair, hence the “Bring A Trailer” moniker. However, as the site’s following grew and the potential for monetization became more clear, we began to see some fundamental changes to the BaT structure. Live auctions were introduced, which brought forth a whole new level of interactivity. No longer were site visitors limited to just voicing their opinion on select Craigslist finds, they were actually able to actively participate in an enthusiast-driven purchasing process that allowed private parties to interact through a structured online medium, something the classic and collectible vehicle market had never seen. Success was immediate. Twenty live auctions at a time became fifty, then one hundred, and so on. As the inventory grew, so did the site’s following. BaT has brought tremendous visibility to classic and collector vehicles, an industry that had previously been somewhat in the shadows of the general public, only familiar to those who were really in-the-know. Bring A Trailer has opened up classic and collectible vehicle trading to the masses, and it is having a profound impact on the market, for better or for worse. It’s impact can be massively positive or massively negative, depending on who you ask. For the core enthusiasts who have been sourcing, working on, and trading unique cars for decades, BaT is, for lack of better terminology, blowing up their spot. For those who were on the fringes of the hobby, BaT is opening up a clear path to the center. It enables just about anybody to participate in the buying and selling process, with little-to-no barriers to entry. Regardless of where you stand, love or hate BaT, we can all agree on one thing, it’s effect on the market cannot be overstated. As someone who trades classic and collectible vehicles for a living, the gut instinct is to feel a bit bitter towards BaT; after all, the site does encourage private parties to handle the buying and selling process on their own, rather than deferring to an industry professional. However, BaT does bring to the table some significant positives that should not be overlooked by those within the industry. 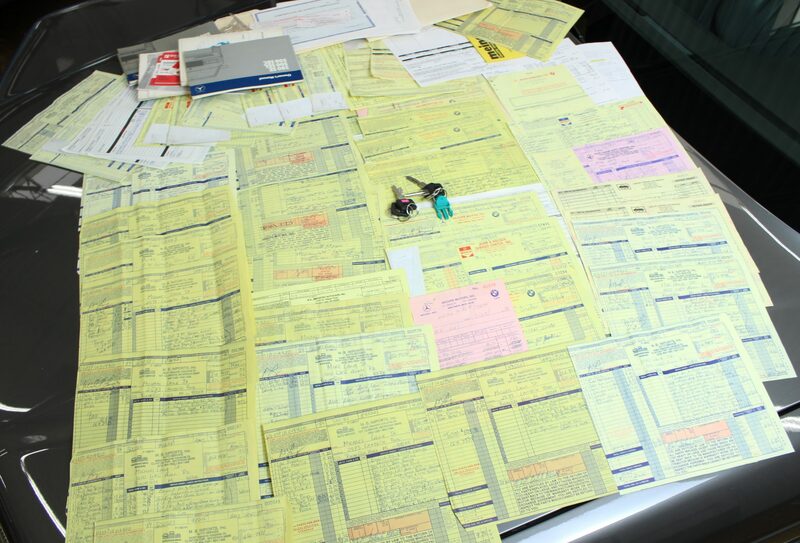 A key part of what we at Chicago Car Club do is to help folks place a value on their car, regardless of if we’re looking to purchase the car or not. We like to let people know, “Fair market value for your car is between X and Y, so if we were to purchase it, we’d be willing to offer Z.” In most situations we’ll at least have a general idea of the value of the car in question, but always, without fail, the first thing we’ll do is look to the BaT search bar. BaT, having sold thousands of classic and collectible vehicles in recent years, is a gold mine of relative data. More often than not, we’re able to find a comparable example that has auctioned on BaT, which not only gives us insight as to the state of the market for that particular car, but often brings to light interesting value-add tidbits thanks to the comments section. The comments section, or “Peanut Gallery” as it’s so often referred to as, tends to be an entertaining read, to put it lightly. In certain situations, like when we see super original, concours-level cars coming up for auction, the comments section is often full of deep, intimate knowledge from folks who have “been there”. In BaT’s come-up, this tech-heavy comments section was it’s saving grace. It’s what gave BaT such credibility among automotive enthusiasts, and made those core enthusiasts want to use the medium to do business. However, as the site grew, newcomers wanted to be a part of the BaT community and share the field with real grassroots experts, as is only natural. While good and fair in theory, allowing anyone enthusiastic enough to register to participate, this ease of access has lead to an unfortunate tendency for individuals with no skin in the game to act as armchair quarterbacks, nitpicking vehicles, sellers, or bidders for no real reason other than to see their opinion voiced. A case of too much too soon, really; with the explosion in BaT’s popularity, there was no way for an effective moderation system to be set in place. Even now, a few years since BaT really hit the big time, the growth continues; it’s not total anarchy, but moderators are facing an uphill battle. When you hear folks knocking BaT, which does happen fairly often in the circles we run in, it usually stems from harsh feelings towards the Peanut Gallery. But aside from the Peanut Gallery, what else about BaT aggravates core enthusiasts, the folks the site was originally intended to benefit? The biggest sticking point is this: The tremendous visibility and ease-of-access of BaT has brought previously underappreciated cars into the limelight, which has driven up demand, and therefore prices, of these particular makes and models. But if these enthusiasts are also owners of underappreciated cars, wouldn’t they want to see the values increase? Well yes, but that’s not the whole equation. Prior to BaT, truly knowledgeable enthusiasts had a strong upper hand in the purchasing process. Relatively unknown yet special cars could be had for little money and were plentiful on local Craigslist pages, but no longer. For example, take the Porsche 944 Turbo. Not necessarily unloved, but overshadowed by Porsche’s other offerings, the 944 has long lived in the shadows. It did, until a 5k mile example auctioned on BaT for $74k. That inspired a stream of 944 Turbos coming to market, and seemingly overnight, the going rate jumped an easy 20%. And now, because of BaT’s powerful online presence, if a somewhat out-of-touch 944 Turbo owner Google searches “944 Turbo for sale” in an effort to see what their old used car is worth, the $74k example pops right up, which immediately inflates their perceived value. Again, good for the non-enthusiast owner, bad for the hobbyist stretching to purchase their dream car. Of course, like any other industry, there are other external factors driving the market, but it’s undeniable that BaT has solidified itself as a key underlying force driving upticks and establishing trends in the market for classic and collectible vehicles. So, what do we do, those of us who have been here all along and do have skin in the game? Well, we take the good with the bad. BaT rolls on, and we leverage the pluses that it does offer. 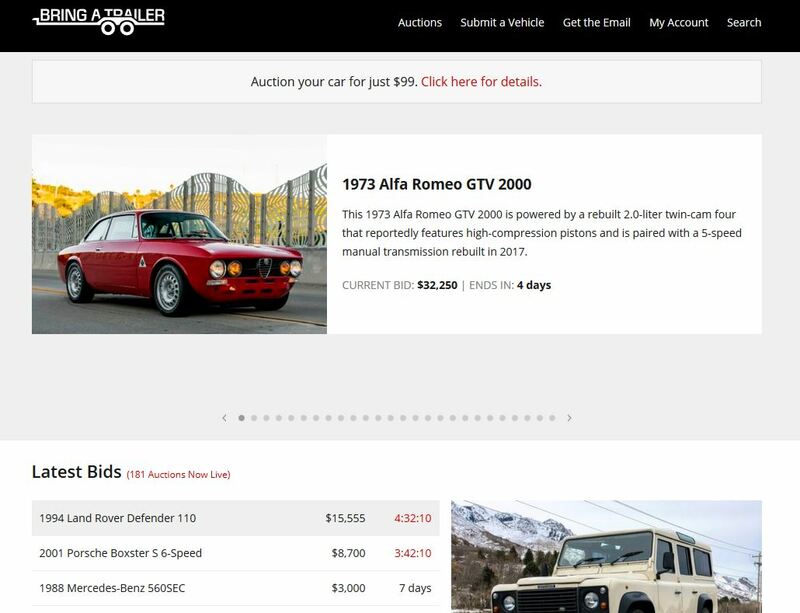 We relish the constant stream of quality car-related entertainment, refer to the search bar for unparalleled valuation-related data, and maybe, every once in a while, put our Peanut Gallery armor on and buy or sell something. As much as we love to hate it, BaT isn’t going anywhere, and with the recent influx of desirable wheels, seats, engines, and memorabilia coming up for auction, it looks like the spectrum of sellable goods has yet to see its full potential. Buckle your seatbelts, friends.